The Semenggoh Wildlife Centre is the biggest Orang utan Rehabilitation Centre in Sarawak; established in 1975 as a sanctuary for the injured and orphaned orang utans. Together with the Sepilok Orang utan Rehabilitation Centre in Sabah this is the most well known rehabilitation center for tourists to visit. Tourists should not mistake both Semenggoh and Sepilok as actual tourist attractions; both wildlife centers are intended to rehabilitate orangutans and educate visitors at the same time. 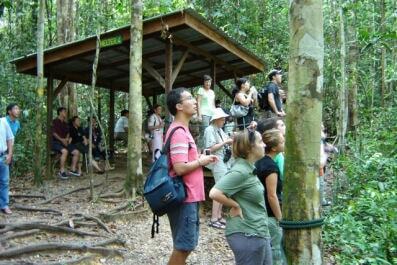 The centre is situated within the boundaries of the Semenggoh Nature Reserve, approximately 24 km from Kuching. �	prolonged captivity, with the objective of subsequently releasing them back to the wild. �	To conduct research on wildlife and captive breeding programmes for endangered species. �	To educate visitors and the general public about the importance of conservation. 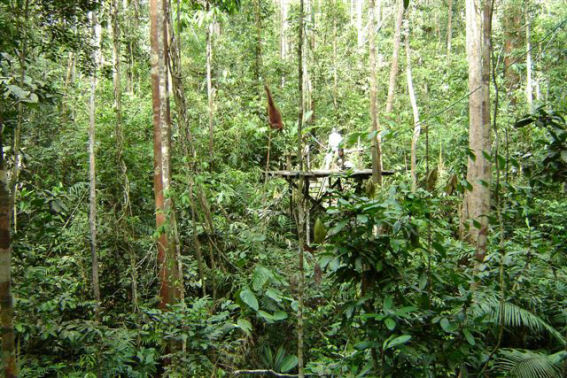 As a result of its success, Semenggoh�s role has changed and it is nowadays a centre for the study of orang utan biology and behaviour, as well as a safe and natural haven for dozens of semi-wild orang utan, graduates of the rehabilitation programme. It is also home to numerous baby orang utan, born in the wild to rehabilitated mothers, a further testament to the success of the programme. Do not hold, feed, touch, play with or in any way disturb the orang utan, and always move at least six metres away from an animal that is on the ground. There are three very good reasons for this. Firstly, the animals may become too attached to humans, making it harder for them to survive in the wild. 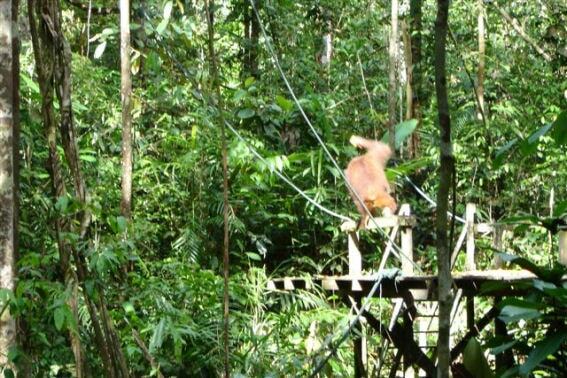 Secondly humans are able to communicate certain diseases to orang utan, and vice-versa. By eliminating contact the possibility of disease transfer is reduced. Thirdly, an orang utan may feel threatened and attempt to attack you � some of the Semenggoh wardens carry ugly scars from protecting thoughtless visitors from injury. Do follow the warden�s instructions and advice at all times. Cute, cuddly, gentle and endangered, that's pongo pygmaeus better known to the world as orang utan. They have a brown and rust-coloured shaggy fur. Orang utan means "the man of the forest" in Malay. In times past they didn't kill them because they felt the orang utan was simply a person hiding in the trees, trying to avoid having to go to work or become a slave. 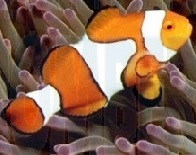 Females have a body weight of 37kg, and males weigh 83kg and their life span is about 60 years. The orang utan lives in tropical, swamp and mountain forests, where it eats mostly fruit, leaves and insects.